Ah hell. I don't even know where to start with this. I feel like more backstory is necessary, but there is a) the question of how far back to go; and b) the question of how much I feel like talking about certain things. I suppose one necessary element of backstory is the fact that -- at the moment -- I work for the UK's national parks. And the necessary element of futurestory is that, in less than a fortnight, I won't be. Budget cuts, you see. In the parlance of Her Majesty's United Kingdom of Great Britain and Northern Ireland, I'm "being made redundant." There's something hurtful in that phrasing: the implication of being unnecessary and unwanted. And, indeed, that's sort of how I feel. I will spend my final day -- New Year's Eve -- in the office alone. There is no "leaving do" planned. The good news, however, is that I will be sent on my way with a small bit of money and a charming reference letter. And I have a plan. I question whether it is a very good plan -- only time will tell -- but it is a plan, nonetheless. The plan is this: I'm going to become a moto-journalist. Well, arguably, I'm already a moto-journalist. I've been writing for a handful of online publications (most notably, RideApart) for more than a year. In November, I spent three days in Milan reporting on EICMA, one of the world's largest annual motorcycle shows. But hitherto it's all been supplemental income. From 1 January, it will be my full-time gig. Or, at least, I hope it will be full time. The trick of this plan is that I will be freelance. Yes, I would rather be tied to a specific publication but I suffer from the geographical disadvantage of living in Wales. 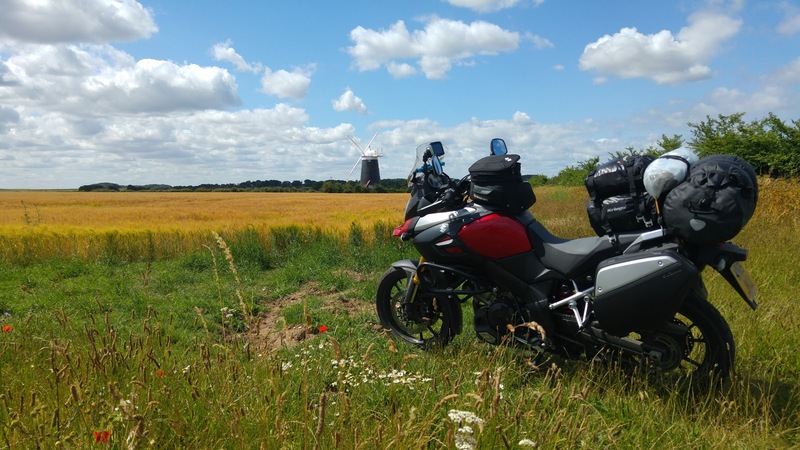 And in so doing I am far away from Peterborough, which is (bafflingly) the hub of the UK's motorcycle press scene, and even further away from Los Angeles, home to the U.S. scene. True, I would be delighted to leave Wales (I mean, really, really delighted), but such a course of action runs averse to my wife's current plans. And there are, admittedly, a few advantages to staying yng Nghymru. Free healthcare being at the top of the list. The whole of the UK has free healthcare, of course, but in Wales even our prescriptions are free. Which is of benefit if -- like me -- you suffer from chronic asthma and hypothyroidism. Let us stop for a moment and savor the irony of the fact my living in a country with deep socialist roots allows me to be more free in terms of career choice than I would be in The Land of the Free. Anyhoo, freelance it is. The advantages are obvious. I'll be making a living writing about motorcycles, which inherently demands that I ride motorcycles. I'll be tied to no particular location (which means I could, in theory, transfer this whole operation to some place warm and sunny) and I'll be confined to no set working hours. Which is what's been happening to me recently. I am deeply worried I won't pull this off. But, at the same time, I know I am capable of doing so. I'm motivated, too, by the fact I really, really don't like traditional workplace scenarios. Good luck Chris! I'm rooting for you! Chris, I've just found this blog and the one over that Motorcycle Obsession and I love your writing style. I'm now busy reading all your past posts. I know your now on month 4 of being a freelance moto-journalist and I wish you all the best and look forward to reading any future articles. I've not read all of your moto journal blog and now whilst reading your Alt-Berg post it's sent me to this one. Damn it I'll catch up with the other one then come back to this one! I know this post is a year old now but we also receive free prescriptions in Scotland if you ever thought of a move that far north! I feel your pain regarding redundancy, I've experienced it three times in my working life, once when I was 21 and twice in 2015. However I'm a firm believer in the philosophy that as one door closes another opens, as I'm sure you do too!